(Second guitar, not pictured was a tele in drop d for a cover). Guitars: RG's the AZ242, and a FRM150. 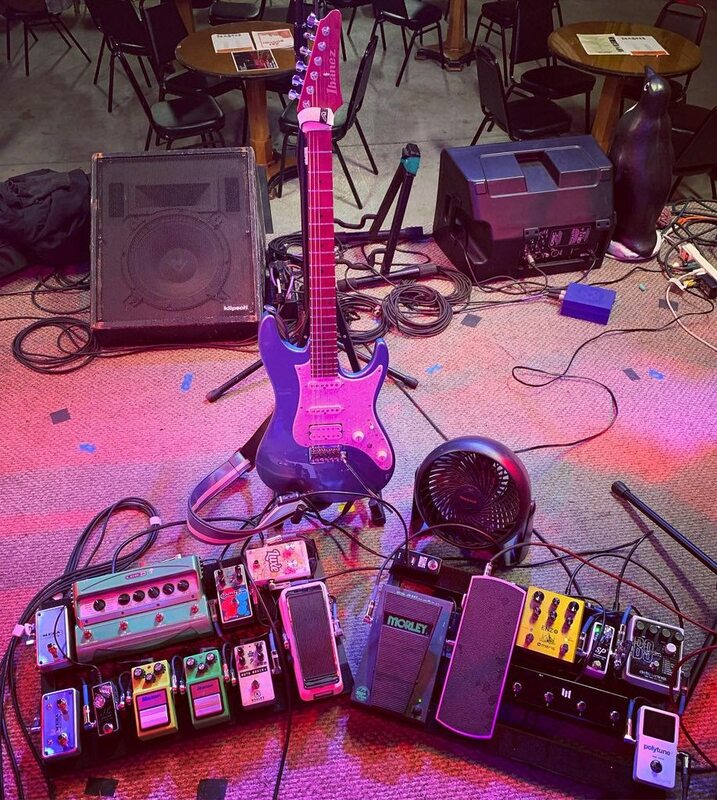 Pedals (in order currently): Ibanez Weeping Demon Wah -> TS9 -> Boss DS-1 -> EHX Holy Stain -> EHX Small Stone -> Ibanez AF-2 Flanger -> EHX Neo Clone Chorus -> Boss DD-3 -> Topanga Reverb. Sometimes I'll switch out the Holy Stain with a Holy Grail next to the Topanga. The Topanga is awesome but niche surf reverb. Sometimes I'll throw in an EHX Good Vibes too. Last edited by mike570; 01-21-2019 at 02:32 PM. 2013 JEM7VWH (refretted with stainless steel), Ibanez MA2HSH solid black (never use), Ibanez SR1205E Bass, Line 6 Helix Floor, Sony MDR-7506 headphones. Just wanted to say,,,,as an update,,,,I've been gigging with my Soldano Hot Rod 25 head for some smaller shows lately. Using the same TC electronic Gmajor 2 in the loop and all of the same gear as with my SLO...and compliments have been non stop. Lower wattage and the amp just "sings" at a much lower setting. I was even forgetting to stomp on my TS9 for a bump for leads, as this amp was already dripping with so many overtones...... Keeping the overdrive preamp setting around 7 as on my SLO, and the master volume around 4.....just hair raising lusciousness. What a sweet amp. I would illustrate this amp as one of those beehives just dripping honey all over the forest floor and accessible to even the smallest bear cub. Whereas the SLO,,,,in a bigger outdoor or indoor gig setting, gets there too with just a bit more volume. The SLO is like a massive dripping beehive , but not as easy to get to as the HR25.....like a bigger luscious hive but much more massive and higher up in a much bigger tree......need the momma bear to access it They both provide the sweet honey nectar, just in different situations. The HR 25 gets there right away in a smaller room. Last edited by JemSLO; 01-26-2019 at 04:42 PM. 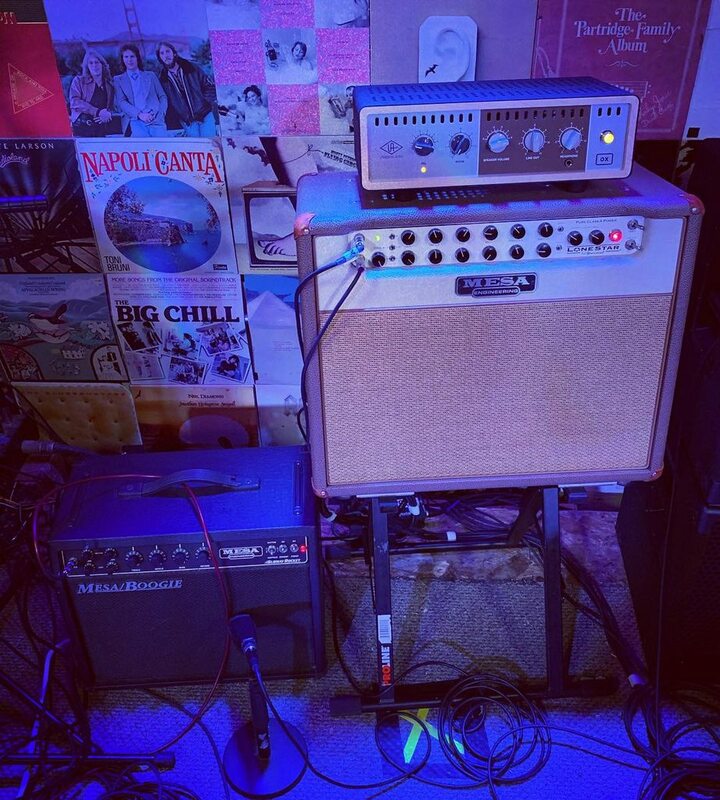 Just wanted to say,,,,as an update,,,,I've been gigging with my Soldano Hot Rod 25 head for some smaller shows lately...What a sweet amp...I would illustrate this amp as one of those beehives just dripping honey all over the forest floor and accessible to even the smallest bear cub. Whereas the SLO,,,,in a bigger outdoor or indoor gig setting, gets there too with just a bit more volume. The SLO is like a massive dripping beehive , but not as easy to get to as the HR25.....like a bigger luscious hive but much more massive and higher up in a much bigger tree......need the momma bear to access it They both provide the sweet honey nectar, just in different situations. The HR 25 gets there right away in a smaller room. This is perhaps the best description of an amp I’ve ever read! I know o thing about the amp but Im interested in any amp that will make me feel like a contented bear eating honey. It does sound really good! The playing starts at 4:30 for those who wish to skip ahead. I finally got my first speaker cabinet. I also made my first purchase off Reverb which went refreshingly well. This is the Bogner Atma 1x12 cabinet that was designed to go with the Bogner Atma. Like the head, the cabinet is made out of aluminum. Do to new the price, I had never really planned on getting the Atma cabinet. Fortunately, one popped up on Reverb at a good price and then went on sale the next day. So know I have that matching cab and can play through a tube amplifier again. At the moment, I have been stricken with the plague, so the only photo I have is of the cab. I think the photo is rather large too. Sorry about that, but I have the plague. I’m happy with the amp though!